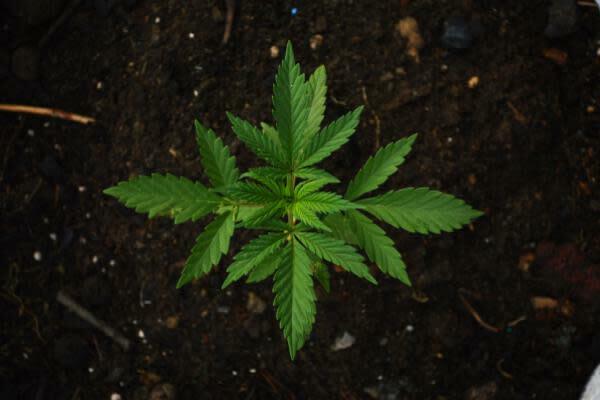 In a recent article, Benzinga discussed sales projections and other cannabis market predictions with GreenWave Advisors’ Matt Karnes, who said he envisions fully legal cannabis markets in several other states (including Connecticut, Vermont, Arizona, Michigan, Ohio & Rhode Island) by 2018. In this article are some other forecasts found in GreenWave’s "The State of the Emerging Cannabis Industry" report. Benzinga: You predict more cannabis-friendly banking under the Trump administration, which is something that’s really good for the industry, taking into account how underserved by traditional financial institutions it is. Could you elaborate on why you see banking becoming friendlier under a Trump administration? Karnes: I feel Trump will be good for banking and cannabis because he wants to deregulate banking. And, in so doing, the requirements of Sarbanes-Oxley is minimized if not eliminated, which is a very complex and costly compliance burden that the banks are faced with. So, that would free up resources at the banks. Banks are allowed to bank cannabis. They are just unwilling to do so because of the inherent risks associated with it because FinCEN has issued guidance indicating that you can do banking but you have to ensure that your customers are in compliance with Cole Memo, and maybe banks are reluctant to do that because of the compliance burden to do that. So, the thought is that if you eliminate Sarbanes-Oxley and you have more resources available, rather than eliminate all these jobs, which Trump doesn’t want to do, the banks can redeploy that human capital to cannabis. It’s something that I think is doable. BZ: You also predict some kind of federal tax relief. What’s this the thesis here? Karnes: What’s going on with that is, for example [...] Washington State has consolidated its markets, so it only has a recreational market, but some can opt in as "medically endorsed." One of the problems that we have in growing a medical market is the lack of doctor participation. Now, what Washington State is provisioning is to have recreational dispensaries that are medically-endorsed, which will require an in-house consultant to advise patients on what would be the best treatment for a particular qualifying condition. So, what that does is possibly permit the allocation of some of that office/dispensary space into operating expenses. For example, say, in a 100 square feet dispensary, there are 10 square feet allocated to a consultant; then the allocation of 10 percent of the total operating costs may likely be permitted as a tax deduction (offset to revenues) depending on how the entity is structured. GreenWave cautions readers to consult with their own tax advisor regarding this allocation. BZ: Are there any stocks you are watching? Note I am not asking for a recommendation... Just curious about what you’re looking at. Karnes: If you look at all the lab testing companies, which are poised for aggressive growth, you have a few leaders like Digipath Inc (OTC: DIGP) and Signal Bay Inc (OTC: SGBY) that are positioning themselves for expansion. The other thing I think is attractive, just conceptually, is large-scale cultivation and Americann Inc (OTC: ACAN) is positioning itself for growth as well. They have plans to build out a 1 million square foot facility in Massachusetts — they are on the way to demonstrating efficiencies that can be achieved with large scale cultivation.